Monday, Wednesday, Thursday and Friday from 8:00 a.m. to 4:30 p.m. Early voting provides citizens the opportunity to vote before Election Day, at their convenience. Unlike absentee voting, one does not need a reason to vote early. 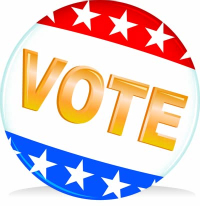 If you are a registered voter in DuPage County, we invite you to participate in early voting!